My name is Sharon King. I have been a licensed Massage therapist in Connecticut (#001986) since 1998. I opened Heartfelt Therapeutic Massage in 2000. I am a member of the American Massage Therapy Association, and The Society for Oncology Massage. 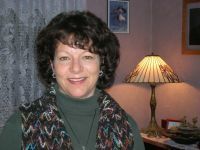 I am an instructor at Connecticut Center for Massage Therapy/Cortiva Institute, in Groton, CT., and I have been a volunteer massage therapist for Hospice at Day Kimball Hospital since 2006.